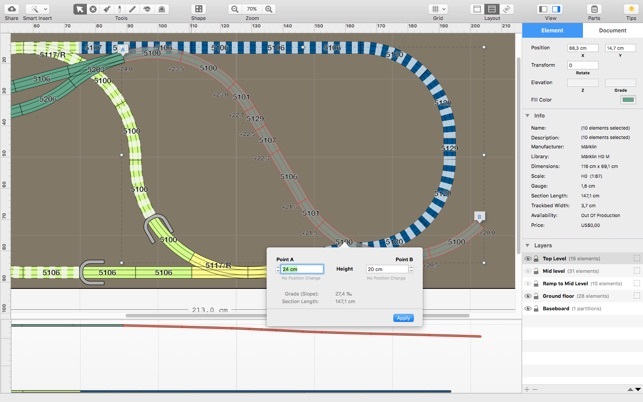 RailModeller Pro is a planning tool for designing model railroad and slot car layouts. 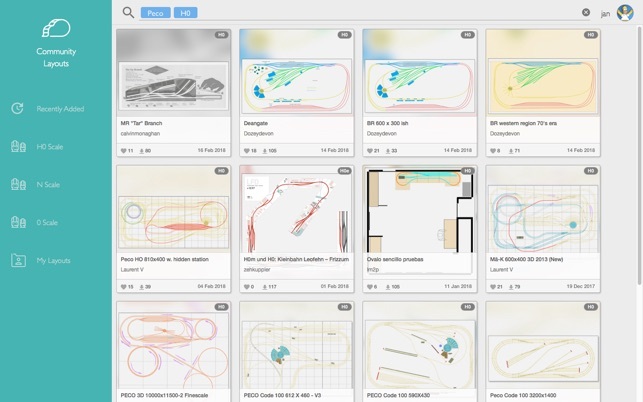 - Integrated stock management for your inventory of tracks. • Share your layout designs with the community to enjoy and discuss. For years I used RR-Track to design several layouts in HO and O Scale. Got to be very well versed in all of its features and options. Got rid of my PC’s and bought a Mac. 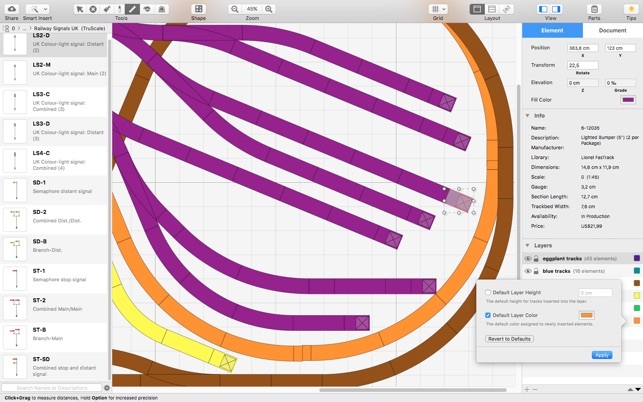 Great move but RR_Track does not offer a Mac version of there software. Sniffed around on the web and tried a few compeditors. Tried to balance price and features. Came across RailModeller, tried the FREE version and figured it was worth the price so I bought the PRO version. Took a few hours to learn some of the features but I bacame very comfortable with it and am enjoying the process of designing a new 11’ x 22’ HO layout for my basement. Right now the main enhancement that I would like to see would be an expanded library to include maybe 10-15% of the buildings that Walthers offers. The current offerings in RailModeller is very limited. I would recommend this software to EVERY Mac user on the planet. Almost as much fun as working on my layout. Seller is very responsive to questions and ideas. Upgrades and improvements come about every month or so, which is pretty spectacular for any software. There is a very unique item in the help menu called “Vote for feature requests” that allows the programmers to focus on the features that us users want the most. I am a long time user and can say that they absolutely pay attention to us. 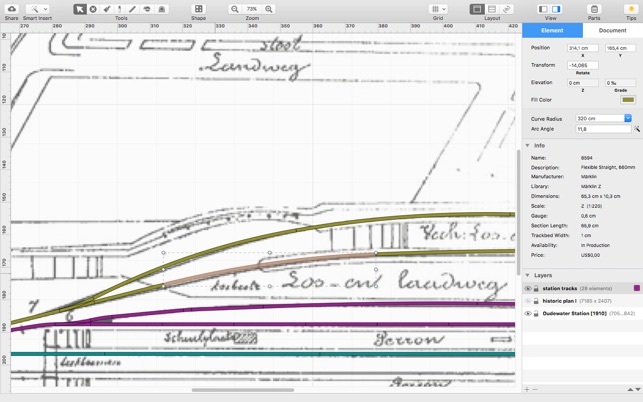 I believe that because I spent so much time using Railmodeller that my layout makes the best use of the space I have. No more 5 tons of spaghetti in a 1 ton bowl. Adendum for current version: I am currently building the layout I designed with this fantastic software, and now it is helping me design my streets and towns as well. Very happy with this software. Yes, it is a little intimidating to start working with, but worth it! It is only because it does so much. 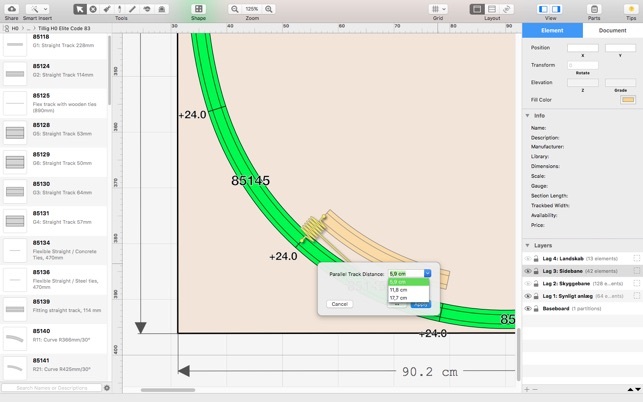 I have been able to design my layout, identify the elevation of each section, I identified the section of track I wanted to transition from one elevation to another and it calculated the grade and captured the transition, tools that let you see and measure the distance between two points, displaying the layout in a simplified 3D rendering, allowing you to select your gauge, showing the track elements and their sizes for your chosen vendor, calculate the pieces required to join small gaps within your chosen tolerance, blah-blah-blah. If you arent sure, then try the free Express version. Get used to it, and I think you’ll love it. This is what I’ve been looking for.